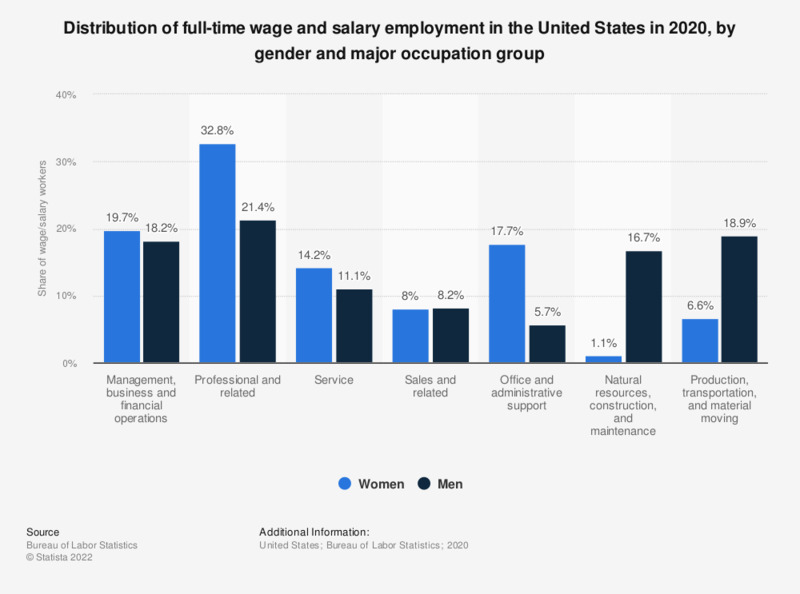 This statistic shows the distribution of full-time wage and salary employment in the United States in 2017, by gender and major occupation group. In 2017, a total of 8.7 percent of the female wage workers were employed in sales or sales-related jobs. See the United States unemployment rate for further information.